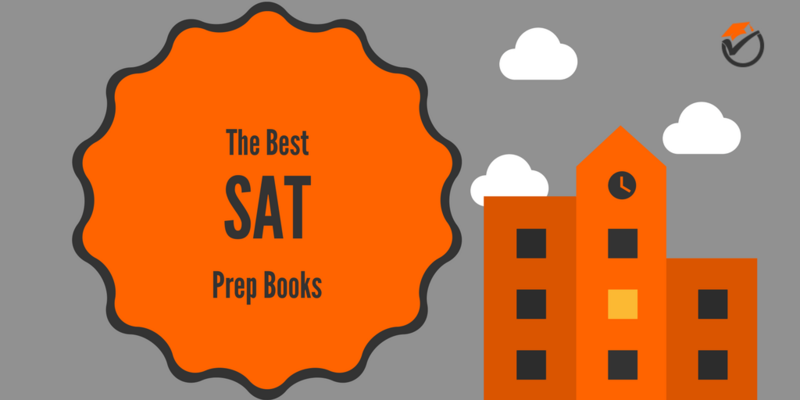 It is not easy trying to find the best SAT prep book in your budget. With so many different books on the market, it is difficult to decide between each one. There are so many different options, companies and guides to choose between. The new SAT, by the College Board, is a difficult standardized exam and has a big say on your future and college admissions. This is why I have created this post of the best SAT prep books of 2017. The information below, researched over many hours, should make it quick and easy to decide which review book is right for you. 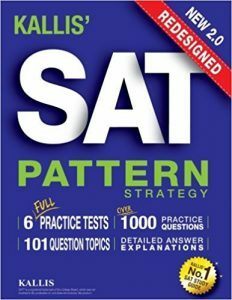 KALLIS' Redesigned SAT Pattern Strategy is bar none the best overall and best value SAT preparation study guide for 2017. It is pretty rare for the best overall prep book to also be the best value, so this guide is a MUST GET for anyone planning to take this exam. What makes it the best overall, do you ask? First, the practice questions are very similar in difficulty to those on the actual exam. This really eases your nerves on test day knowing that you won't be surprised by questions that are way out of your league. Speaking of the practice questions and tests: there are a metric crap-ton. This makes sure that you never run out of sample problems or multiple choice questions to work on, bettering your score. You will never have to purchase another guide because you run out of problems. KALLIS' also has a very comprehensive overview of the topics. Along with all of the questions, you get in depth answer explanations and topic review. As I said before, this will be the only prep book that you will need. And even though the study guide has less pages than others mentioned in this list, the chapters are more focused and get to the point faster. This allows you to save time while still getting the same amount of studying in. 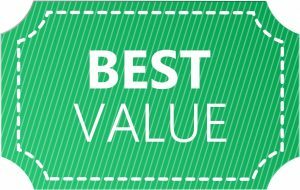 The best bang for the buck for your money and your time. This is why KALLIS' Redesigned Pattern Strategy gets our best overall and best value prep book awards. Kaplan SAT Prep Plus is our pick for the #2 overall SAT test prep book. With 960 pages, Kaplan's is also the largest prep book on this list. This means that this study guide is comprehensive and in-depth, allowing you to be self-assured that you will know everything you need to know on exam day. Although, as with most study guides, Kaplan's goes heavily in depth in the math portions of the exam, which does leave the verbal parts somewhat lacking. Because of this, Kaplan's is better suited for those that want to increase their math section scores. The math section answer explanations are also top notch, meaning that you won't be pulling your hair out in frustration because you are confused why you got a question incorrect. The online material is very useful and comes in hand if you do not feel like carrying your book around with you. However, the exam is still a paper test, and taking practice tests online does not quite compare to what it will feel like on test day. 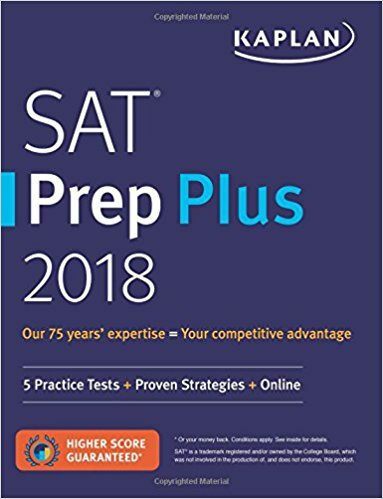 If for some reason you cannot get you hands on KALLIS', or if it is out of your budget, Kaplan SAT Prep Plus should be your second bet. 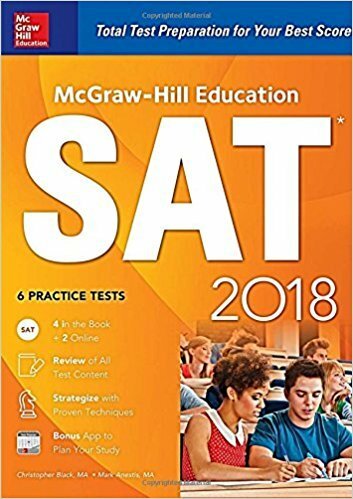 Even though The Official SAT Study Guide is the only test prep book that is made by the official test writers, it, disappointingly, does not live up to the example of the top two books on our list. This study guide has very good test and question examples, but really falls short when explaining the answers to those questions. How else are you supposed to learn from your mistakes? The questions are similar in difficulty to those you will see on exam day, but it is hard to score well if you cannot easily learn from your mistakes. Even though some of the explanations are lacking, this study guide still is the only place for official questions. This prep book also focuses a lot more on test taking strategies and approaches rather than actual subject review. If you are solid in the fundamentals, but perform poorly on test day, this study guide will help a lot on a lot of those minor slip ups that can add up over the course of the test. 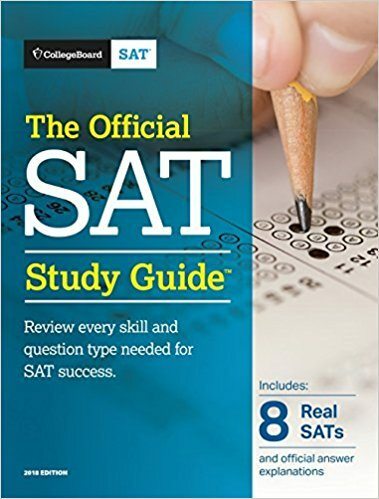 The Official Study Guide is a good prep book alternative if you are looking for official questions, but may be able to get by with less thorough example question explanations. Princeton Review Cracking the New SAT is another a single book study guide that covers all of the sections of the exam. Compared to other test prep books on this list, Princeton Review is very lacking on the math review portions of the exam and some of the math questions are confusing and poorly worded. These questions can really leave you pulling your hair out in frustration while studying. Some of the questions are also less exam-like compared to other guides on this list. It is not a very easy feeling on the test seeing questions that you have not seen or feel under-prepared for. Although Princeton Review is lax on the math sections, they make up for it in their verbal sections. This study guide is better suited for people that are already proficient in math and are looking for help on the verbal sections of the test. 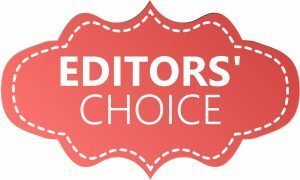 2) Access to Princeton Review's exclusive "Premium Portal"
The review sections of the book are also very simple and concrete, making it very easy to pick up. These properties make it a breeze to study and work through this book, increasing your score on exam day. 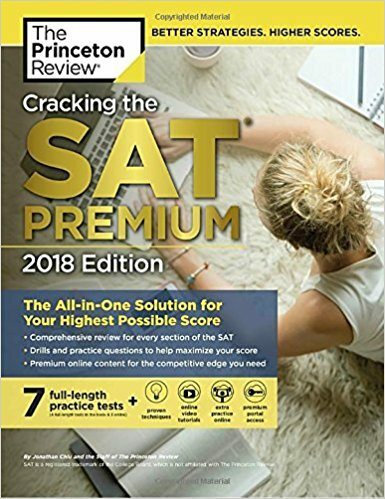 Cracking the New SAT is a good test prep alternative if you are looking for a concise overview that focuses more on the verbal sections of the test and includes lots of online resources. McGraw-Hill Education SAT 2017 Edition is our last pick for our list of the top rated SAT prep books for 2017. This study guide is the most budget friendly option of the books on this list, but not by much. 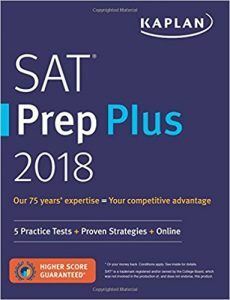 Compared to other prep books, this guide is less comprehensive and offers less resources, but that is made up for with its lower price (hopefully saving you money for that post-test celebratory dinner). The answer explanations for the math questions, especially algebra and geometry, are very on-point, but some of the questions and answers also have mistakes. Some of the questions and explanations are helpful, but others will leave you frustrated and confused. This may leave you mentally prepared for the ups and downs of exam day, but your knowledge of the questions that had errors may be lacking. One other major strength of this study guide is that the practice tests are all printed in the book. The exam is still a paper test and taking practice tests on paper really helps to simulate the feeling that you will get on exam day, easing your nerves. McGraw-Hill Education SAT is a good budget test prep alternative if you are on a student's budget. 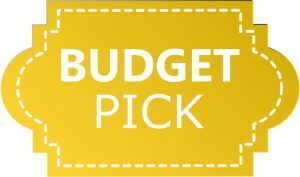 If you are looking for a decent, frugal option, this is your best bet. Just buy KALLIS' Redesigned SAT Pattern Strategy. This is our best overall pick on this list, and does not cost that much more than the other choices, making it a no brainer. And also being more concise than the other guides, it will save you time while studying. The ultimate 1, 2 punch.